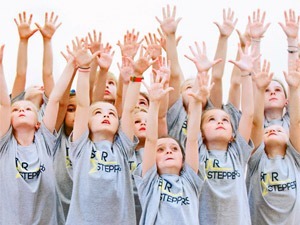 Anna opened the first Star Steppers class in Cheam in 2005. It is now a big buzzing performing arts school with over 75 members. The Friday class is fortunate enough to have BOTH Hannah and Anna teaching here. 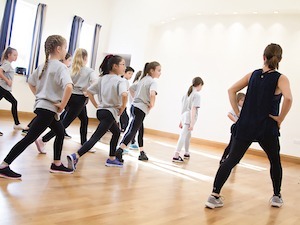 Through dance, drama and singing, we cover a range of styles including street dance, musical theatre, jazz, improvisation, script work, solo singing as well as singing in groups and in harmony. This fun creative class is designed to keep you fit, increase confidence and make you smile! Our Cheam classes run on Mondays and Fridays. Monday's class lasts for 60 minutes for those in Step 1 (3-5 years), Step 2 (5-8 years) and Step 3 (9 years and older). Friday's Step 1 Class lasts for an hour whilst Step 2 and Step 3 get to enjoy 90 minutes of musical theatre madness. These classes are taught by Hannah and Anna with Steve joining us on Monday. 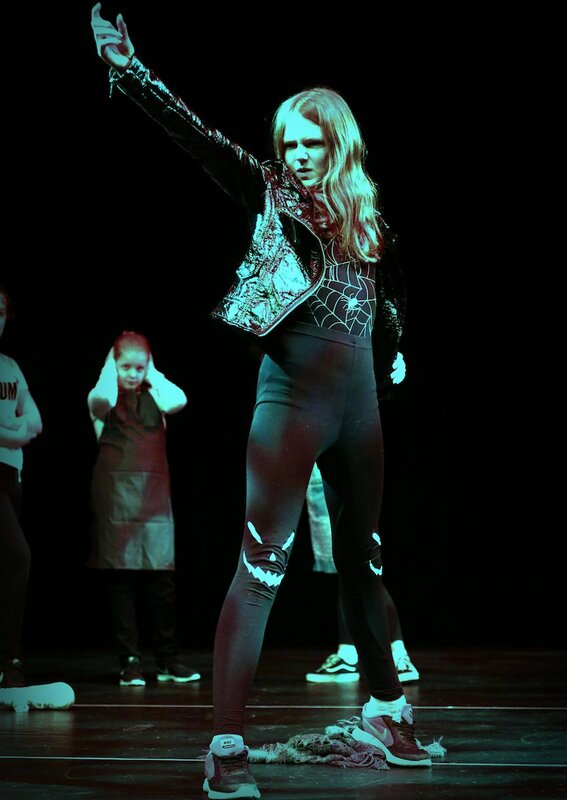 Those attending can expect a range of genres covered from the latest street dance routines, contemporary and musical theatre styles. Want to Try our Cheam Class for Free? I really enjoy Star Steppers because you can dance, sing and act and when I go I feel free and enjoy myself. You can be in shows on the stage at local theatres and get to perform in front of your family which is great. I have 3 daughters who attend Star Steppers on a Friday evening in Cheam. Their ages range from 4 to 10 and they all love it! I love how much all their confidence has grown and how much fun they have singing, dancing and acting. I could not have been prouder of them and all their lovely Star Steppers friends during the summer show. No nerves just pure excitement about performing on a stage to a packed house! Anna, Hannah and their team are all so fantastic with all the children. We all love being part of the Star Steppers family! Best class ever!! Anna and Hannah are such great teachers! In the Step 1 / 2 / 3 class students rotate around two teachers for dance, singing and drama. Covering Street Dance, Musical Theatre and Pop Styles. The class is held at Cheam Parochial Rooms, which is on The Broadway in Cheam Village. There is parking available on this road or there is a pay-and-display car park at the back of the library. Being in such a central location there are lots of parking options nearby. Unfortunately there isn’t anywhere inside the Parochial Rooms, where parents can wait while the class is on but being in such a central location there are lots of things to do in town. There is a Waitrose, Sainsburys, Costa Coffee, various pubs, bars and restaurants, the local library and Nonsuch Park is not far away. There are 20 children max in younger groups and there is always a class assistant present. There are up to 25 children in our older classes. Where do the Cheam Star Steppers members attend school? Children come to us from a range of different schools including St Dunstan’s Primary, Cuddington Croft Community School, Cheam Park Farm Infant School, St Alban’s, Cheam Baptist Pre-School, Cheam Common, Nonsuch Primary, Dorchester Primary, Brookfield Primary, Manor Park Primary, Ellingham Primary, Danetree Junior School, Banstead Community Junior School, The Avenue, West Ewell Infant School, Cheam Fields Primary and Robin Hood Junior School. Our older members attend Nonsuch High School, Sutton High School, Cheam High School and Wallington High School for Girls. Fees are paid in half-termly instalments (roughly blocks of 6-7 weeks approx.) We send all our members invoices via e-mail and parents pay (preferably) online by BACS or we also accept cash or cheque in class. Who teaches the Cheam Classes? Cheam is taught by Anna, Hannah & Steve. Does our Cheam Class sound like fun?